Hemodettes Hemostatic Gel, Unit Doses. 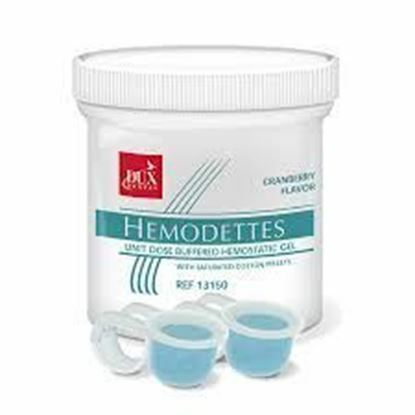 20% buffered aluminum chloride lubricating hemostatic gel with saturated cotton pellets packaged in unique plastic cups with attached finger ring. Cranberry flavor. 25 Unit Dose Cups.